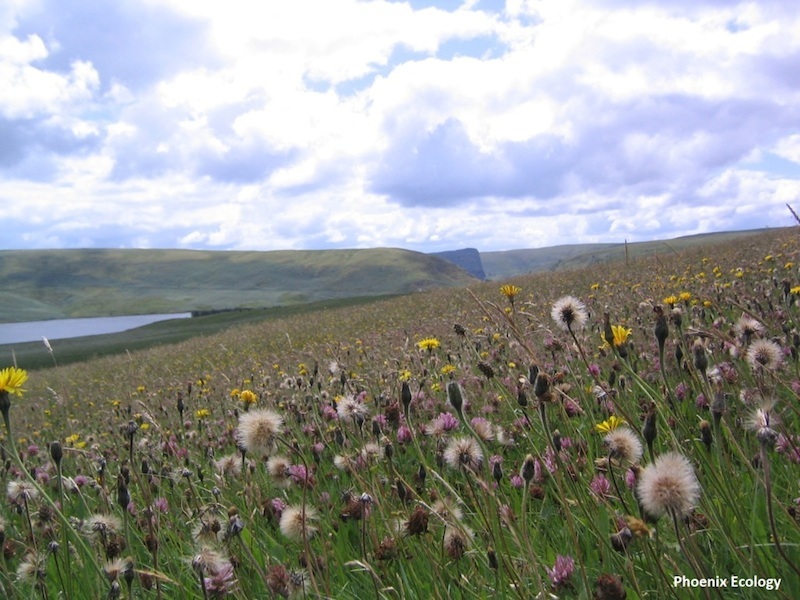 In addition to other notable wildlife habitats, the Elan Valley Estate includes some of the most important and finest examples of species-rich neutral and acidic grasslands in Wales. These grasslands are concentrated within seven clusters of upland fringe hay-meadows and pastures spread over a 20 km stretch of the valley. 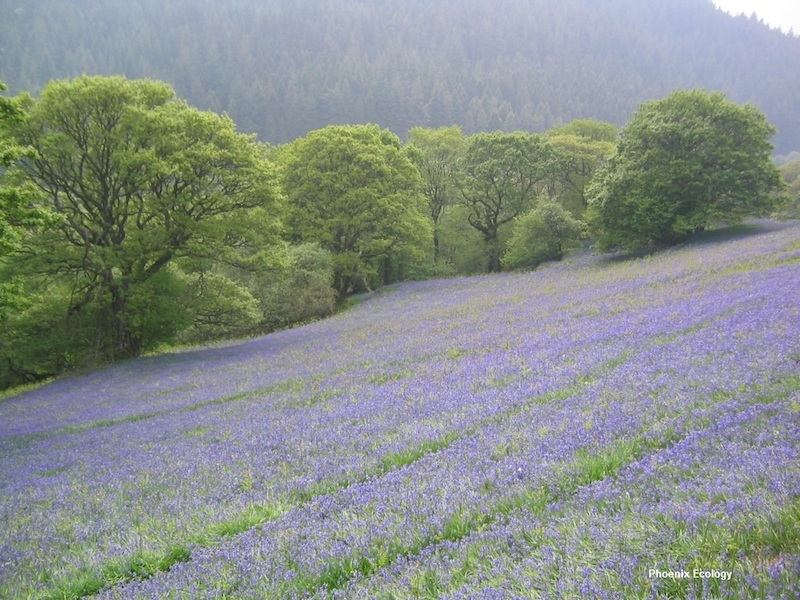 The varied landscape, climate and historic land-use of the Elan Valley have helped to create this series of highly distinctive upland-fringe meadows and pastures which are characterised by the abundance of some nationally uncommon and declining species such as great burnet (Sanguisorba officinalis), mountain pansy (Viola lutea), wood bitter-vetch (Vicia orobus), greater butterfly-orchid (Platanthera chlorantha) and fragrant orchid (Gymnadenia conopsea). The additional presence of species such as pignut (Conopodium majus) and woodland species such as bluebell (Hyancinthoides non-scripta) and wood anemone (Anemone nemorosa) set these grasslands apart from the more ‘typical’ lowland neutral grassland communities. 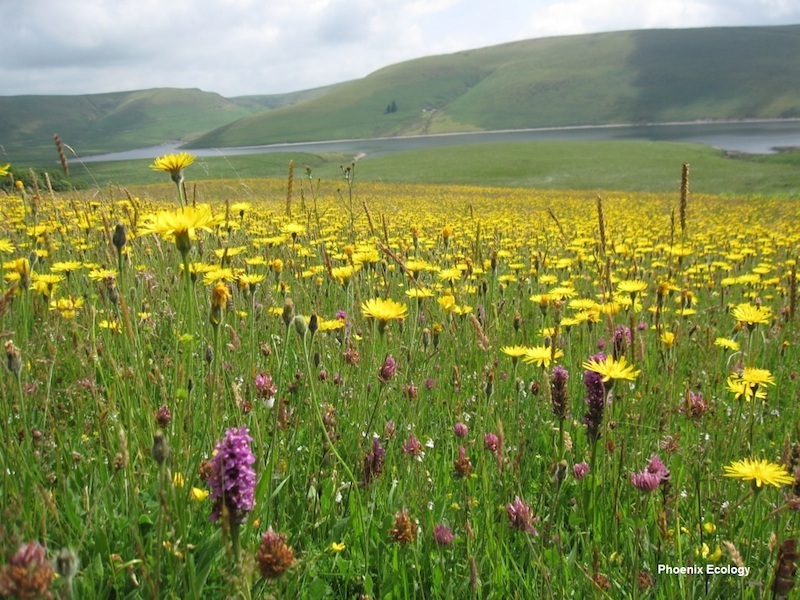 Whereas modern farming practices have greatly reduced the extent of such wildflower-grasslands in the wider countryside, continuation of traditional low-input farming methods in the Elan Valley have helped these grasslands to survive. This is in part due to the historical limitations on the use of artificial fertilisers and grazing management within the Estate to maintain the water purity of the reservoirs. 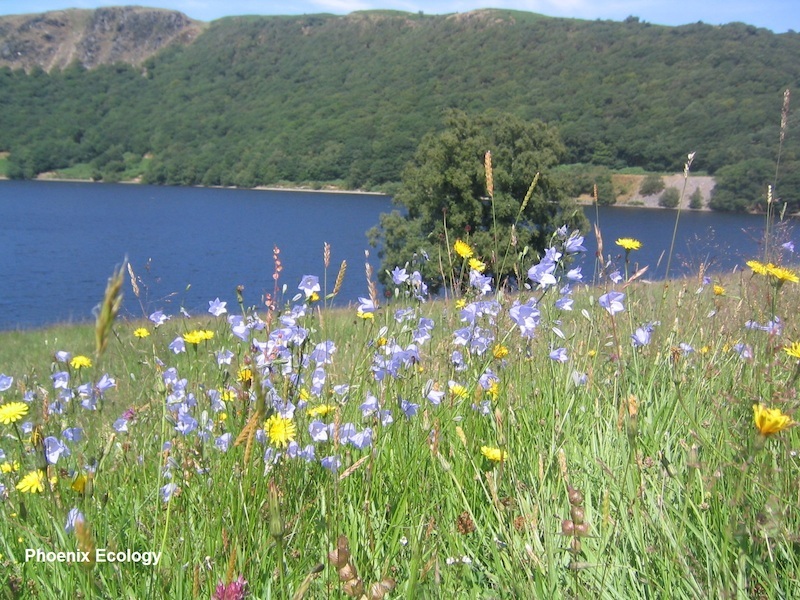 More recently the best examples of the flower-rich grasslands have gained further protection due to their designation as Sites of Special Scientific Interest (SSSI’s). These Elan Valley grasslands currently represent an appreciable proportion of Welsh SSSIs designated for their species-rich neutral grasslands. The species-rich grasslands within the Elan Valley occur in a variety of forms, each special in their own way. Geology, soil type, altitude and climate all combine to create a series of unique conditions for different types of grasslands to develop. 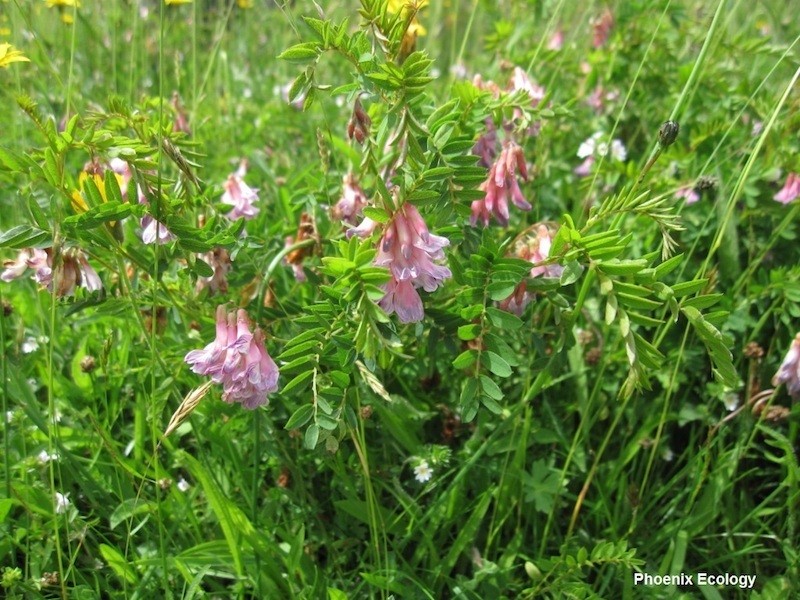 In terms of the National Vegetation Classification (NVC) plant communities, these species-rich grasslands are mostly characterised by the MG5a-type (Lathyrus pratensis sub-community) grasslands on the better quality neutral soils, with smaller stands of slightly more acidic MG5c (Danthonia decumbens sub-community) and U4c (Lathyrus montanus-Stachys betonica sub-community) also represented. The most visually striking grasslands however are the neutral hay-meadows that have undergone long-term traditional management of late summer hay-making and autumn grazing. Under such management the plants have time to flower and set seed before the hay is cut. Then stock grazing over the autumn prevents the more delicate plants from being shaded out and also creates opportunities for new seedlings to establish. Historically low inputs of farmyard manure (FYM) and lime were also applied to maintain adequate levels of soil fertility. 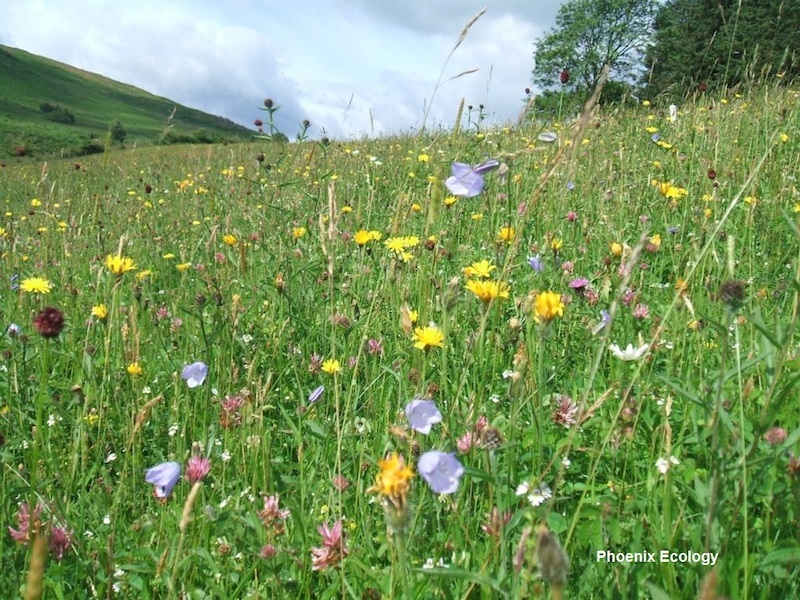 In order to help safeguard the future survival of these important wildlife habitats it is important to recognise that such species-rich meadows are created directly as a result of long-term, sustainable farming systems. Historically the production of good quality hay for over-wintering livestock was a vital part of the farming year, this was especially so in the days before modern machinery when horses still played an important role on the farm. These days such grasslands continue to provide useful and highly palatable forage for the Elan Valley livestock. Within representative meadows long-term experimental work on trial plots has helped determine what levels of traditional inputs such as lime and farmyard manure are required to restore the production of viable hay crops while at the same time maintaining high levels of floristic diversity. 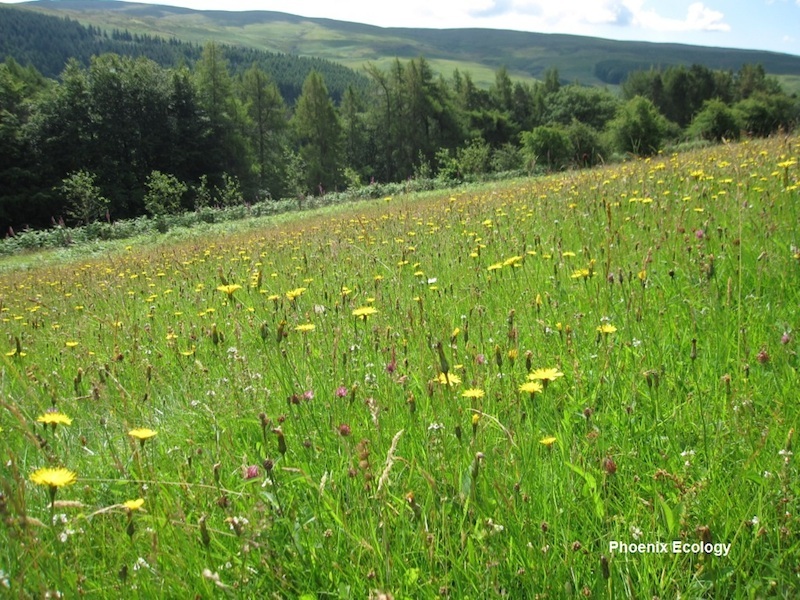 There are considerable opportunities within the Estate for restoring and expanding the extent of species-rich grasslands. At some carefully targeted sites meadow restoration managements have been imposed and are already showing highly promising results. 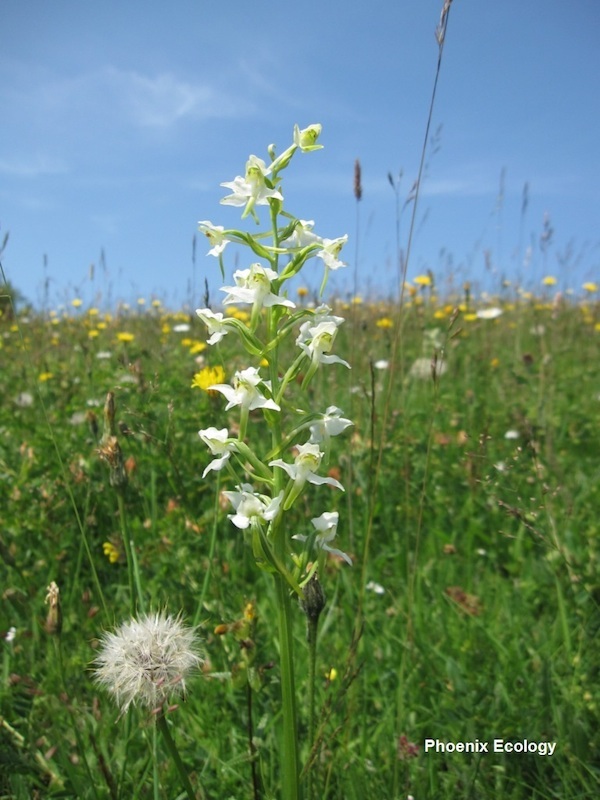 At other sites, managements such as green-hay strewing have been implemented on receptor sites previously identified as having suitable soil and sward conditions. 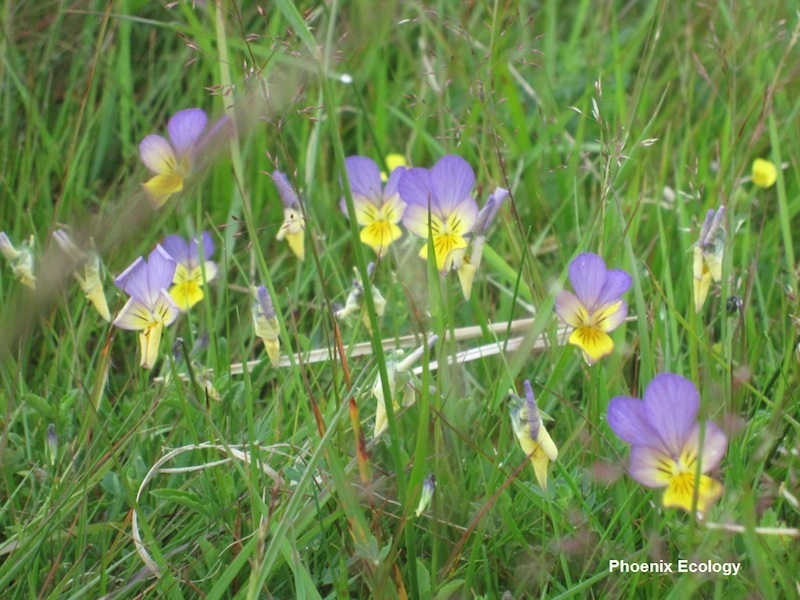 As with many upland-fringe sites scrub invasion can threaten good-quality grasslands. Within the Estate an ongoing programme of bracken control is focusing on stands that retain elements of species-rich acidic or neutral grassland flora beneath the bracken canopy. 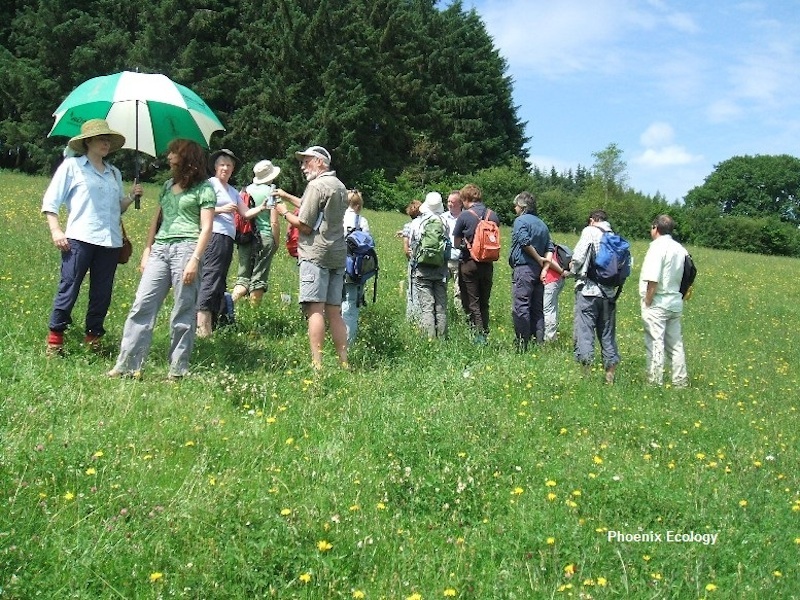 Regular public events have been held to help increase the public awareness of the value and importance of such species-rich grasslands together with training on their successful restoration and conservation management. More details on the Meadows Project are available here. For more information on Penglaneinon Meadow visit Coronation Meadows.